One way we can understand Pushkin’s verse-novel Eugene Onegin is as the exorcism of a demon who destroys the happiness of all he encounters. Pushkin’s story of Tatiana freed from the thrall of Onegin is very like his other narratives of good, normal people first bewitched by and then freed from the influence of dangerous usurpers and rebels. Yet Eugene Onegin is an everyman for his time, as much the prisoner as the breaker of its moral code. Tatiana’s tragedy, we might say, comes from Eugene’s code of seduction: unmarried girls are to be left alone; married women are desirable and legitimate prizes. Hence his devastatingly tactless rejection of Tatiana in the first half of the ballet and his desperate infatuation with her in the last part. To a modern audience, however, Eugene’s sexual proclivities pale into insignificance when we consider his behaviour at the climax of Act II of the ballet: provoking his best (or his only) friend, the naive poet Lensky, to a duel over a trivial flirtation and then killing him. But duelling all over Europe followed an implacable code. For aristocratic males in Russia, duelling was a means of rectifying injustice, establishing ranking order, for some almost a sport. Duels were often formalities: of 322 fought between 1894 and 1912, only 15 had a fatal outcome. But where the insult to be avenged was mortal and when the duellists’ seconds agreed, then the terms of the duel might be such - for instance shooting at five paces apart – that both combatants would be killed. 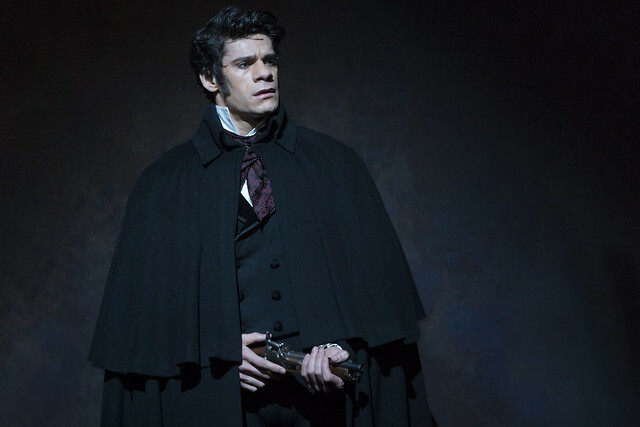 When Lensky challenges Onegin to the duel, Onegin cannot refuse, nor does etiquette allow him merely to fire into the air. Thus killing one’s friend in a duel – what seems today the action of a psychopath – was in 19th-century Russia a very real tragedy. Pushkin found his gruesome story of Lensky, Olga and Eugene was no fantastic invention when in 1837, a mere ten years later, with a Nabokovian twist or two, it came true and destroyed its author. 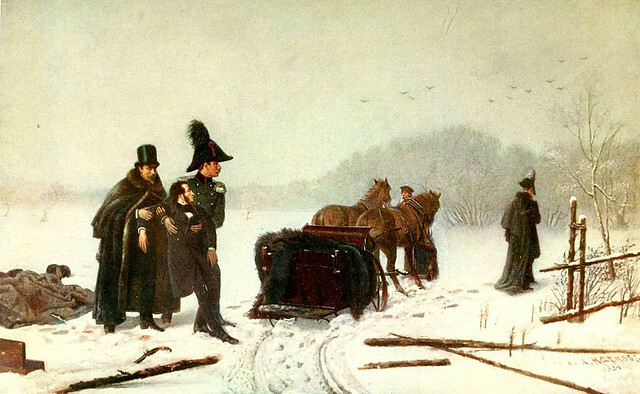 Baron Georges d’Anthès-Heeckeren, who killed Pushkin in the duel, was asked in his old age (the killer lived until 1895) whether he regretted having so brazenly provoked Russia’s greatest poet by seducing his wife and then having gunned him down. He declared that he was proud to have acted according to the prevailing code of honour. Both Pushkin in his verse-novel and John Cranko in his ballet begin to tire of their demonic hero and to shift the focus onto Tatiana, the heroine who develops from an ingénue fantasist to a stoic, self-sacrificing model of female virtue. Tatiana is taken to the marriage market of Moscow balls and allows herself to be married to a man she respects rather than loves: unlike the heroines of her novels, she accepts reality and declares that, given to another, she ‘will be faithful all her life to him’. Pushkin undoubtedly felt something of Tatiana’s predicament in himself. Tatiana’s observance of duty corresponds to Pushkin’s decision first to cut his ties with the rebellious intellectual officers who had staged the Decembrist coup, and second to abandon his witty and urbane mistresses and marry the petulant and dim-witted Natalia Goncharova. That was a disastrous sacrifice. It is probably just as well that Pushkin refused to finish his novel in verse, and that when John Cranko’s ballet ends we can only guess what future awaits Tatiana and Eugene Onegin. 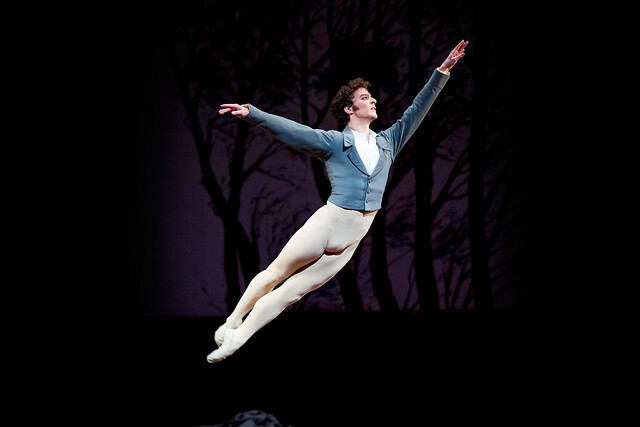 This is an extract from Donald Rayfield’s article ‘Onegin’s Morals’ in The Royal Ballet’s programme book, available during performances and from the ROH Shop. I am familiar with Cranko's heartbreakingly beautiful ballet, but on reading this article, the reality of the characters and their actions suddenly make complete sense - after all these years, thank you so much for the insight!